Sugarcane has little or no content of fat, cholesterol, fiber and protein but contains sodium, [email protected], calcium, magnesium and iron. You would think that this sugar-high drink can’t possibly have health benefits but we’ve rounded up 9 of them for you. Unlike drinks and foods that are packed with processed sugar and high-fructose corn syrup, the natural supply of sugars in sugarcane juice can provide a solid stock of energy that can start your day off strong and regulate the release of glucose in your body for a healthy “sugar high.” Sugarcane juice is an excellent natural choice to rehydrate the body and stave off fatigue. 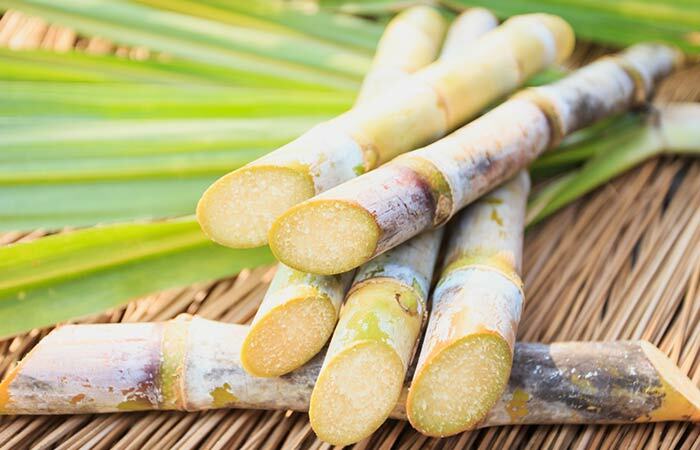 One of the components of sugarcane juice is alpha hydroxy acids, specifically glycolic acid, which has been linked to antioxidant effects on the skin. This juice, when regularly consumed, can clear up skin inflammation and infections, while also reducing signs of aging, such as wrinkles, blemishes, discoloration, and scars.